Rabies is a viral disease affecting the brain and spinal cord of all mammals, including cats, dogs and importantly humans as well. This is a fatal condition for which there is no cure once infection has taken hold. It is important to remember that the idea we have of rabies and how an infected animal may present and act may only be half the story. A rabies infected animal (domestic and wild animals alike) can present in one of two forms - the commonly known aggressive form, and the lesser known ‘dumb’ form. The aggressive form will be the animal that appears very aggressive, tries to bite and often is salivating at the mouth. The ‘dumb’ form is unusual and not well known because animals appear tame, calm, docile and even slightly sedated. These animals may have excessive salivation but not always. This animal appears calm until approached and then will just as easily bite you. Both forms have the same end result for the infected animal or human - severe inflammation and damage to the nervous system resulting in death. Rabies is transmitted through contact with an infected animal’s saliva, most often through a bite but other contact may also result in infection. In the event contact is made with any body fluids of an infected animal there is a risk for infection. Distemper is a serious viral disease that is highly contagious and for which there is no known treatment. This virus is transmitted through direct or indirect contact with infected animals, and may even be transmitted via the air. This virus first attacks the tonsils and lymphatic system (the body’s drainage and filter system) and then spreads to the gastrointestinal, respiratory, urogenital (kidneys and bladder system) and nervous systems. Initially the dog is feverish and un-well and there may be vomiting and diarrhea. Later there is progression to involve other internal organs and systems including the brain which may lead to seizures, behavioural changes, paralysis etc. Animals may also develop hard thickened foot pads. Most animals diagnosed with distemper need to be euthanised. Parvovirus infection is mainly a problem in young unvaccinated puppies but can also affect dogs of any age if they have not been vaccinated. Initially is was thought that dogs contracted this disease from cats but this is not true and cats are not affected by this disease at all. The small and very tough virus that causes this disease attacks and destroys the intestines, resulting in vomiting, lack of appetite, and a severe watery bloody diarrhea. Even with intensive treatment puppies often succumb to dehydration with loss of nutrients and electrolytes essential for life. Treatment is costly, intensive and can still result in the death of your pup. Parvo is a preventable disease, with adequate vaccination of mom, ensuring she passes on essential protective antibodies to her pups. Once the pups are born they have to undergo a complete puppy vaccination program from 6 weeks of age onwards to ensure they remain protected at all times. Infectious canine hepatitis (ICH) is a worldwide, contagious disease of dogs with clinical signs varying from a mild fever and red mucous membranes to severe depression, white blood cells deficiency, and bleeding tendencies. It is also carried by a number of wild canids (dog like animals) such as foxes, wolves and others. These carriers don’t often show clinical signs of the disease but are important in its spread to our dogs. As suggested by the name this virus attacks the liver primarily and results in varying degrees of damage which leads to clinical disease. The disease in a dog can vary from a mild fever from which they can potentially recover with supportive treatment, to death (especially in younger animals). The main route of infection occurs through ingestion (either directly/indirectly) of urine, feces, or saliva of infected dogs. Dogs that have survived infection shed the virus in their urine for more than 6 months. Treatment: Supportive and symptomatic treatment which includes fluid therapy (placing them on a drip), antibiotics to prevent secondary invasion of the body by bacteria and controlling the bleeding tendencies that result from the damaged liver which amongst other things produce the clotting factors which prevent an animal from bleeding spontaneously. Prevention: In recent years there has been a reduction in the incidence of this disease as a direct result of active vaccination programs. Vaccination is the only sure way of preventing the disease and with the many carriers of the disease it is important our animals are continuously protected. Feline panleukopenia is a highly contagious, often fatal, viral disease of cats that is seen worldwide with kittens being the most severely affected. The virus is very resistant and can persist in the environment for a long time. Cats are infected by exposure to the stools or other secretions of infected animals or contaminated objects. The virus infects and destroys actively dividing cells in bone marrow, lymphoid tissues, intestinal cells, and in young animals the nervous system. It may also lead to abortions in pregnant cats. Animals infected with this virus may die acutely, or may present with fever, weakness and later vomiting and diarrhea. On examination they often have painful abdomens. They can also appear anemic (pale). Eventually affected animals become systemically ill and septic, eventually resulting in their death. In young kittens affected with the virus they can show a variety of nervous signs such as ataxia and tremors with increasing severity depending on the age of the kitten when infected and the extent of damage to the nervous tissue. Treatment: Supportive and symptomatic treatment with fluid therapy, antibiotics (to prevent secondary bacterial infection), checking electrolytes and other body systems on an ongoing basis until the animal is better. Some animals may even require blood transfusions with severely anemia. The outcome of treatment cannot be guaranteed. 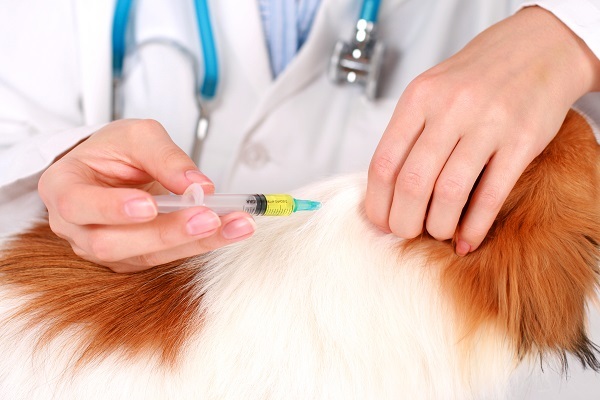 If you are in any doubt as to when your animals should be vaccinated or what diseases they should be vaccinated against, please phone the veterinarian to book an appointment and to make sure you keep your animals safe from potentially fatal diseases.